Cheshire coach Ben Thomas believes his team need fear no-one if they reach the BBL play-offs, despite the current likelihood of being the unseeded team in their last-eight pairing. Cheshire won at reigning champions Leicester Riders on Friday night, avenging a close defeat to them earlier in the season. Thomas believes the scalp of a side currently second in the table shows what they are capable of. “They [the BBL's top sides] all know that we can beat anyone on our day,” he said. “So I'd say we're more looking forward to it than anything else. "We've got to take it seriously and that means being professional all the time, so when we come in to games we can put out the best version of ourselves on the floor every time. “Any team we play will not want to come to play us at the Ellesmere Sports Village because they know just what a loud, tough place it can be to play,” he added. 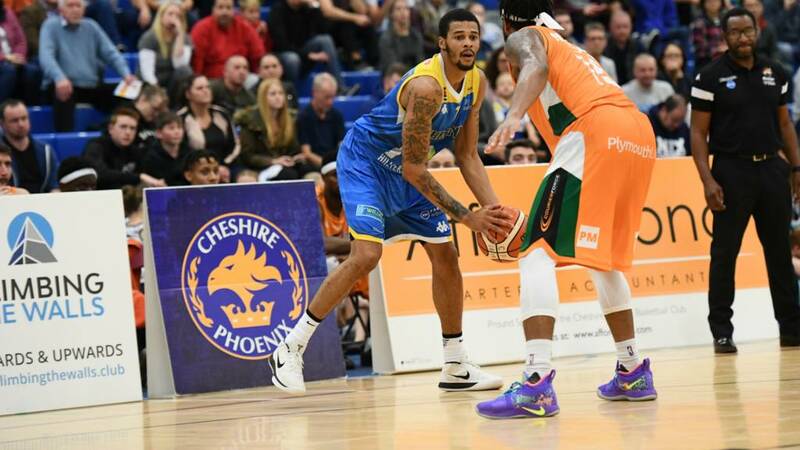 How can I watch Cheshire Phoenix v Bristol Flyers? You can watch Cheshire Phoenix v Bristol Flyers in the BBL live on the BBC Sport website, app, connected TV and iPlayer on Sunday, 31 March from 17:25-19:30 GMT. Find your local club by visiting England,Scotland, Wales and Northern Ireland Basketball Association websites.